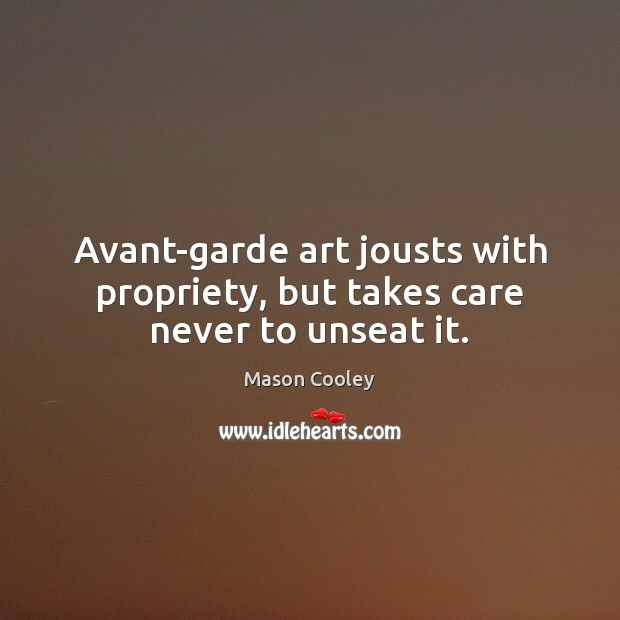 Quotations about Avant Garde Art. Quotes to stimulate mind and drive action! Use the words and quote images to feed your brain inspiring things daily! Warhol and other Pop artists had brought the art religion of art for art's sake to an end. 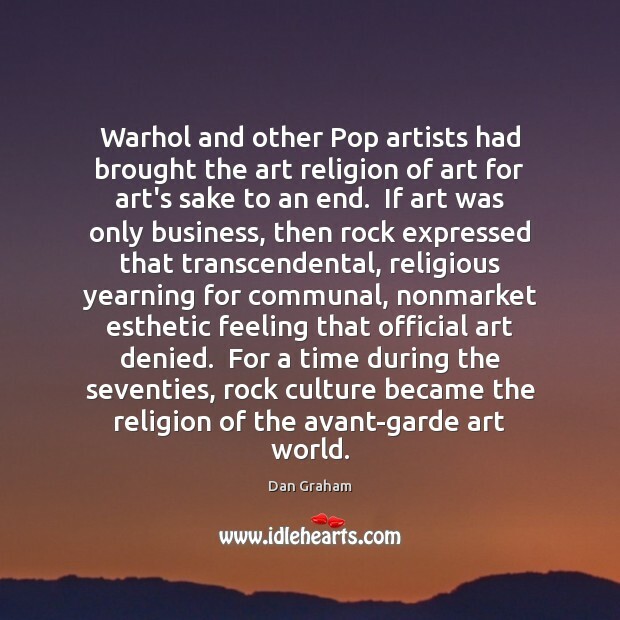 If art was only business, then rock expressed that transcendental, religious yearning for communal, nonmarket esthetic feeling that official art denied. For a time during the seventies, rock culture became the religion of the avant-garde art world. 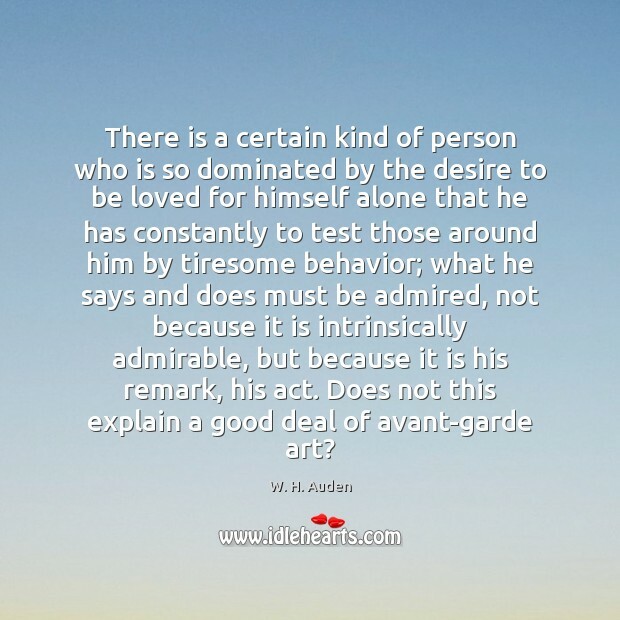 There is a certain kind of person who is so dominated by the desire to be loved for himself alone that he has constantly to test those around him by tiresome behavior; what he says and does must be admired, not because it is intrinsically admirable, but because it is his remark, his act. Does not this explain a good deal of avant-garde art? Avant-garde art jousts with propriety, but takes care never to unseat it. 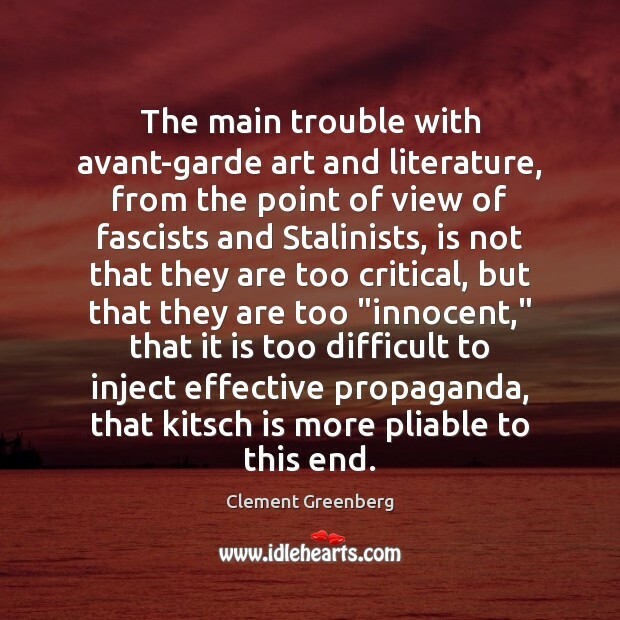 The main trouble with avant-garde art and literature, from the point of view of fascists and Stalinists, is not that they are too critical, but that they are too "innocent," that it is too difficult to inject effective propaganda, that kitsch is more pliable to this end. 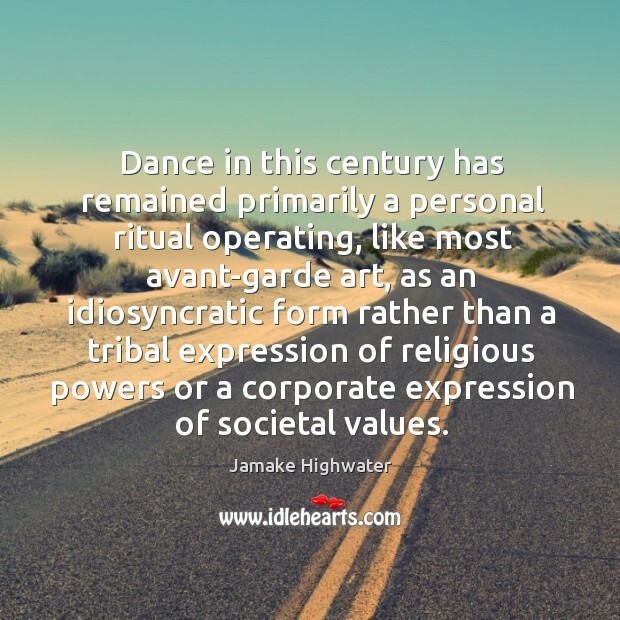 Dance in this century has remained primarily a personal ritual operating, like most avant-garde art, as an idiosyncratic form rather than a tribal expression of religious powers or a corporate expression of societal values.